When a masterpiece is crafted, its done keeping in mind the exclusivity, it needs to exhibit. Oriflame’s 1st wrinkle Correcting care branded as ECOLLAGEN , is a perfect example to exemplify this statement. New generation of Anti Wrinkle care. Engineered with the unique plant steam cell extract, this day cream helps re-plump wrinkles from within and helps prevent their further formation. New, lighter texture melts into your skin. 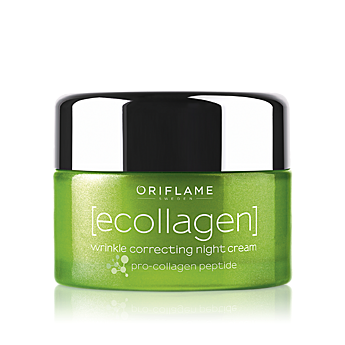 Re-plump Wrinkles while you sleep. 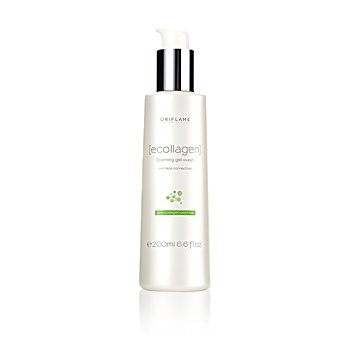 Engineered with the unique plant steam Cell extract, it helps to rebuild and reinforce the skin's collagen network, fil and re-plum wrinkles fromwithin, and prevent their further formation. Rich, Silky texture quickly absorbs in to your skin. This product is exclusively for 35+ ladies with skin whitening formula. It provides natural glow and fairness to mature skin, further leaves it forever young. 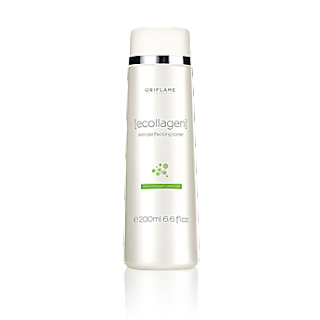 This cream not just gives you young look but also repairs two further layers of skin called dermis and epidermis. It repairs the cell as well as tissue of the face till Three layers. Whitening complex restricts the production and distribution of Skin pigmentation which further leads to acnes and skin discoloration. This summer utilize this product to refresh and rejuvenate your skin. Stop the time with your age and make your beloved go crazy for you all over again . Get your youth back and spread the wonder everywhere with ECOLLAGEN 3D+.